Wise Elder: You get to fly when you're lvl 20. You also get a free, but slow flying board at that level as a reward. Buy a better one when you have more penya from the town. Newbie: But how can I get to lvl 20 faster? Wise Elder: Every time you see the Buff Pang, a blue and fat penguin, you should click on him to get buffed. It will give you multiple stat boosts for one hour, and you can use it as many times as you wish until you're level 60. Newbie: Got it, always get buffs from the Buff Pang.... Hey, is the Buff Pang someone's pet? I wanna buy a pet too. Wise Elder: It's not someone's pet, foolish newbie. But if you do want a pet you have two options. One, get an egg and give it Pet Feed until it reaches 100% EXP, then hand it to the Pet Tamer. Two, buy one from the player shops. Pets have a number of lives, and once they run out of lives there's not much you can do to revive them. A pet revival scroll is very expensive, but still, an option. So, be sure to keep feeding your pet. Always pay attention to its life bar! Wise Elder: Make pet Feed from spare Quest Items that you get from killing monsters, or buy it from players. Also good to know, you will get a free pick-up pet at lvl 20. Press (U) to customize what items your pet is allowed to pick up, very handy! But a pick-up pet does just that, it picks things up. 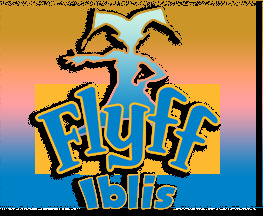 If you want a pick-up pet that's even more helpful, buy a buff pet when you get... FLYFF Rich! Be that in penya or EP, which you can buy with real money. Newbie: Nice, nice... but did you just say player shops? I can make my OWN shop? Wise Elder: Yes, from the Start Menu you can make your own private shop. Some people who play a lot and dual client have their second client as a private shop. One important thing to keep in mind is, never expect to sell your items quickly! You will only sell something when someone needs that item. And always investigate the market and make sure your prices are not too low or too high. Some very good items to sell are Greens. Newbie: Greens? Why, are they all painted in green or something? Wise Elder: I'm gonna pretend you didn't say that... It's just the item name that is green, and it indicates an item that belongs to a set. When you wear a complete set, and sometimes even 3/4 of a set, you get bonus effects. It's good to know that set items cannot be bought from NPC shops, but they only drop from monsters. So this is why they're more expensive. Some of them are worth a lot, some of them... not so much. Some players risk their Greens and awake them. Newbie: Awake them from what, from sleeping? LOL! Wise Elder: You are testing my patience, newbie. Awakening an item will either give that item positive or negative bonus effects. It's done by using the Scroll of Awakening, which can be purchased in Flaris. Many people get by in the lower levels with awakened vagrant armor, armor for newbies like yourself. Cough It depends on your luck. Newbie: Vagrant armor... hmm. You know, I don't like being a weak vagrant. I will just max out my skills by using all of my Skill Points so I can become a Hero faster! Wise Elder: Do not put skill points into your vagrant skills, as you will only be a vagrant for a short time. But you can and should ALWAYS put stat points, such as STA, DEX, STR, into your character, because stats get reset after you change your job for the first time. However, Skill Points do not get reset! Sure... you get a free re-skill scroll on the first job change, but save that for when you really need it.